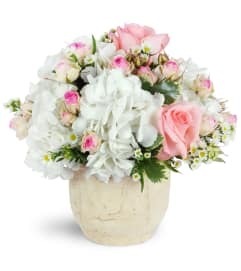 This fresh, pink bouquet makes a perfect tribute to honor a special someone who, friends, colleagues and family remember as "simply sweet." 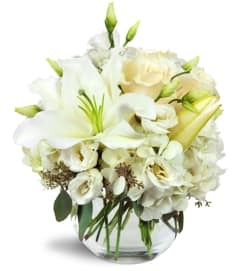 This understated tribute is a lovely pink arrangement of roses, larkspur, carnations, gerbera daisies and Asiatic lilies beautifully accented with vibrant greens in a white basket. 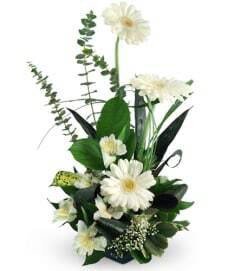 It brings a touch of color and beauty for a wake, funeral service or to console family or friends at home. BETTER is approximately 19"H x 15"W.